Less than a week later, after some beautifully warm days, Rosa ‘Darcey Bussell’ stepped on stage (so early and welcome! ), whilst Swifts and Martins in from South Africa set up home in overhead eaves. What a whirlwind of weather and change in gardens and the countryside beyond. 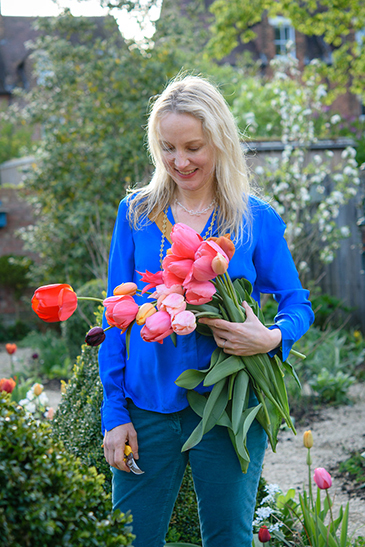 Just before the tulips faded, I considered them and the garden carefully. It is too easy to rush and miss the essence of the moment. Each variety was considered for scale, poise, stature and performance. 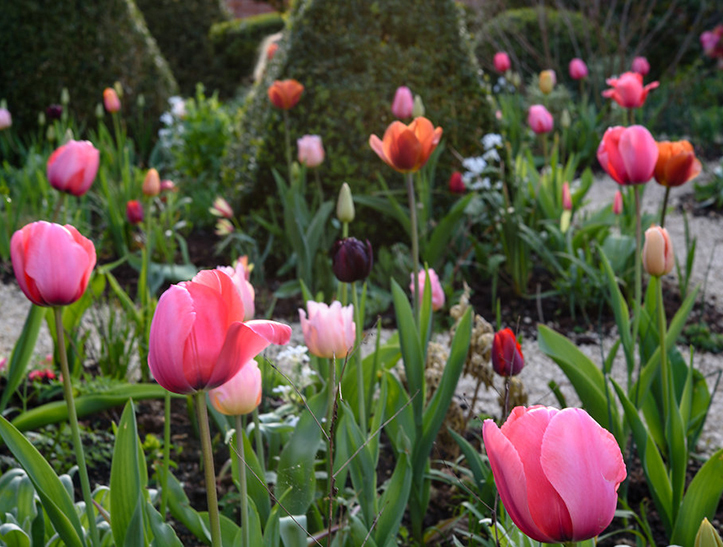 Tulipa ‘Dordogne’ stole the show, it is alluring at its every breath and gains great beauty with age.